An inside source at Ubisoft verified the information. 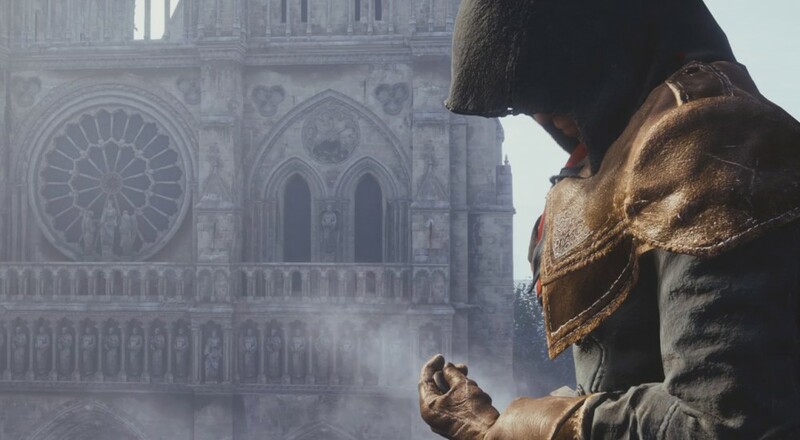 The next Assassin's Creed title in the franchise, Assassin's Creed Unity, may possibly have a four-player co-op mode included in it that's altogether different than the Wolfpack mode found in the previous games. We might need to wait until E3 to see it officially, a trustworthy source says that the next Assassin's Creed title should see a new type of co-op mode. One SP, other showcasing 4-player coop. He also goes on to state that there will be a total of two demos planned to be present at this year's E3: one being of the standard single-player experience and another of this supposed co-op mode. Regardless of Ubisoft confirming this or not, our E3 team will be sure to inspect the Ubisoft booth at the expo and get as much info on the co-op aspects as possible. Assassin's Creed Unity's reveal was leaked last month, later confirmed by Ubisoft to arrive on PlayStation 4, Xbox One, and PC. The game is said to be centered around the French Revolution in Paris and is projected to arrive this fall. We first saw co-op in Assassin's Creed in the Wolfpack mode found in Assassin's Creed 3, and then later in Assassin's Creed IV: Black Flag. If the rumors are true for Unity, we may be seeing something with a bit more "teeth" to it.